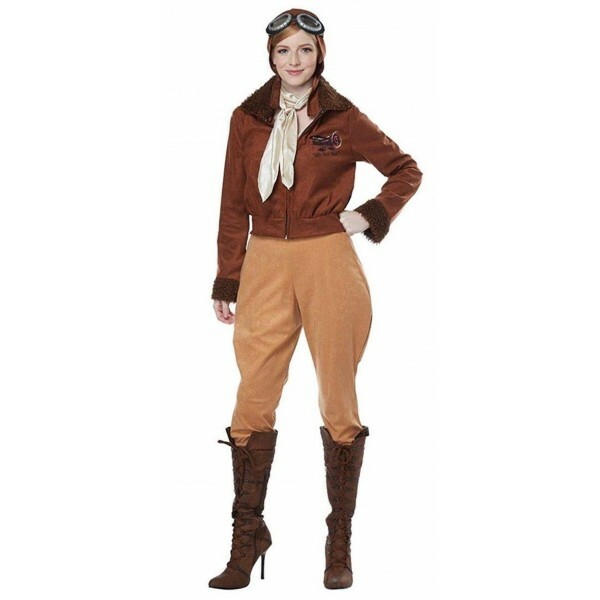 Fly high like the queen of the skies in this Amelia Earhart costume from California Costumes! This costume set includes a jacket, pants, a headpiece, and boot covers. For more products featuring this daring pilot, visit our Amelia Earhart Collection.